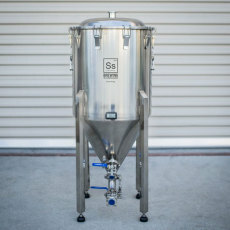 A piece of professional brewery equipment for home brewers! Condition, clarify, carbonate and serve from ONE vessel! 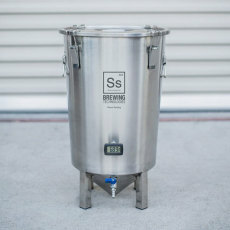 Stainless steel stackable fermentation bucket with a ton of features! Comes with integrated rotating 3/8 in. 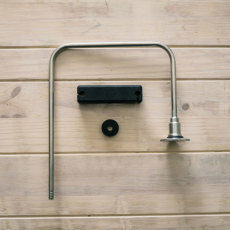 ball valve and racking arm assembly for easy sampling and racking! Conical bottom helps collect trub and allows for clean racking and sampling! Includes weldless thermowell and digital thermometer for easy and accurate temperature readings at any time! An excellent stainless steel conical fermenter for a low price! Certified food grade 304 stainless steel contruction with sanitary welds! 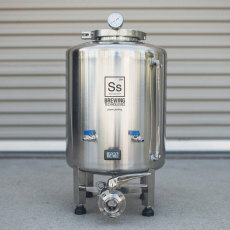 Ferment in sanitary stainless steel, dump trub, harvest yeast, and rack to kegs or for bottling, all in one vessel! 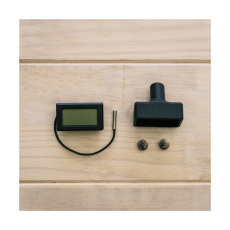 An LCD Thermometer for the SS Brewtech Chronical Fermenters and InfuSsion Mash Tuns!